The January 2013 RV Consumer Magazine issue was just released. This is our RV 2013 issue. Take an inside peek at the new RVs for the 2013 camping season. Get some RV tips and hints on how to prepare for the upcoming RV show season. Find out what Mark’s next big project is for 2013 and much more. 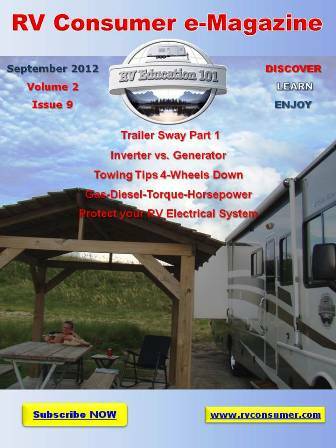 RV Consumer E-magazine is free by subscription and is brought to you by RV Education 101. 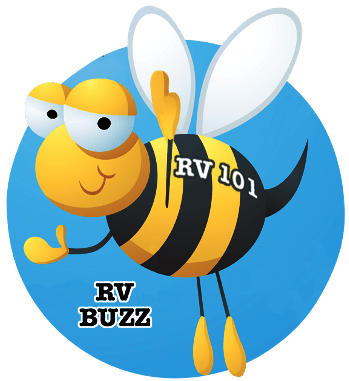 All of this great RV information is just a click away. RV Consumer magazine is delivered in a digital flip-book style format, online monthly by subscription. It is free of charge and your e-mail address will never be sold or used for anything other than delivering our RV e-newsletter and RV Consumer E-Magazine. For up to the minute RV news and information subscribe now and start receiving this information packed e-publication directly in your in-box each month.